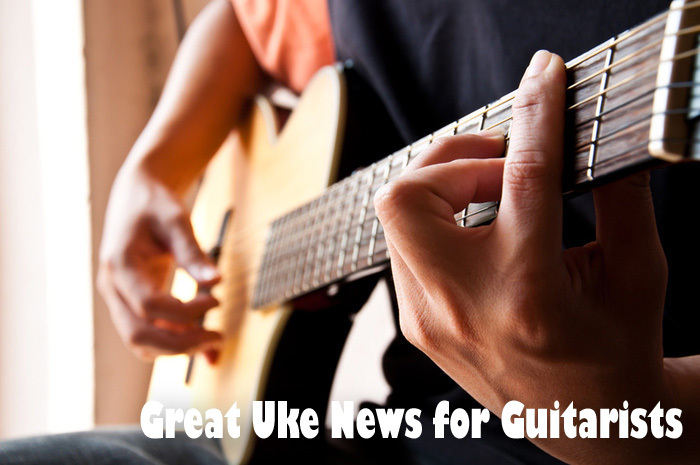 Play Ukulele Now: Great Ukulele News for Guitarists: Guitar Players, Play Uke instantly! Ukuleles are tuned almost the same as a guitar, but a 4th higher, so your D chord would be a G and your C chord would be an F! Otherwise it will be very similar to the top 4 strings of a guitar! Uke tuning is the same as guitar tuning! Soprano, Concert and Tenor Ukes are tuned, G, C, E, A. The bottom string, (the closest to you when you hold the uke), the G string, is tuned an octave higher. It is possible to get a set of strings where the G string is not tuned an octave higher; these are called low G sets. The Baritone ukulele is tuned exactly the same as the top 4 strings of a guitar. 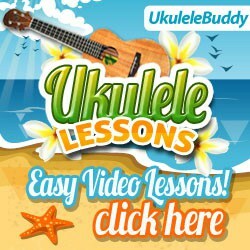 There are also sets for the Tenor Ukulele that are made for a D, G, B, E tuning, so that you can tune your tenor uke exactly like a guitar too.